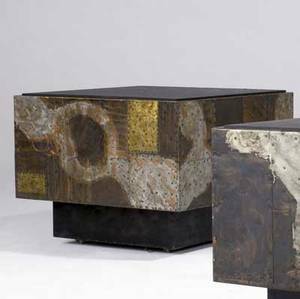 Paul evans coffee table with slate top and copper, bronze and pewter patchwork. 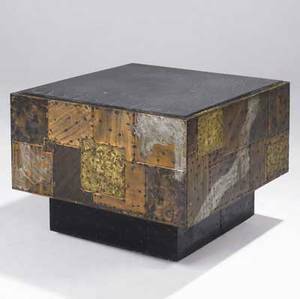 16 1/4" x 68" x 32 1/4"
Archived auctions similar to Paul evans coffee table with slate top and copper, bronze and pewter patchwork. 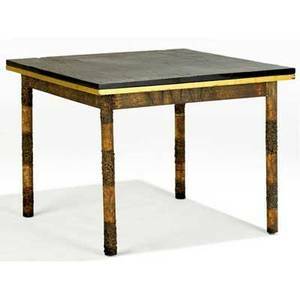 16 1/4" x 68" x 32 1/4"
Paul evans cube table with slate top and copper, bronze, and pewter patchwork, on hidden casters. 23" x 30" sq." 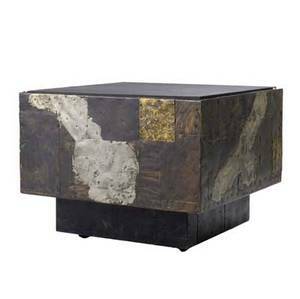 Paul evans cube table with slate top and copper, bronze and pewter patchwork, on hidden casters. 23 1/2" x 29 1/2" sq." 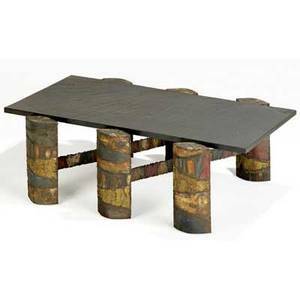 Paul evans coffee table with slate top over patinated, welded steel base. 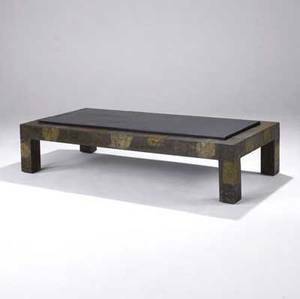 16" x 48" x 24"
Paul evans coffee table with slate top and gilded wood apron on pierced and patinated steel base. 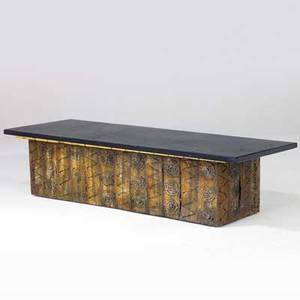 14" x 60" x 20"
Paul evans low table with slate top and gilded apron on welded, patinated steel base. 25" x 32" sq. 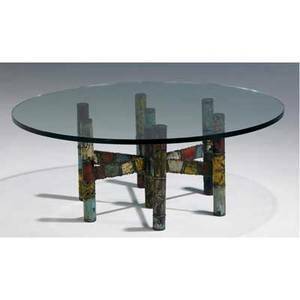 Paul evans coffee table with circular glass top on welded and patinated steel base. 16" x 42" dia. 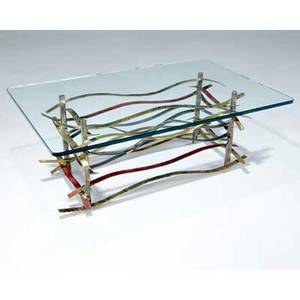 Silas seandel ribbon coffee table with glass top on copper, brass, bronze and steel base. 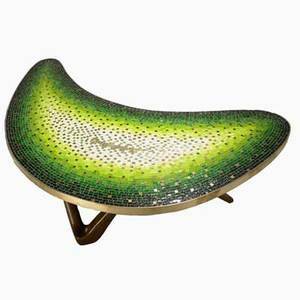 16" x 42" x 27"
Vladimir kagan; kagan-dreyfuss; crescent coffee table, usa, 1950s; venetian glass tiles, bronze and sculpted walnut; unmarked; 14" x 55" x 31 1/2"
Arthur umanoff (attr.) 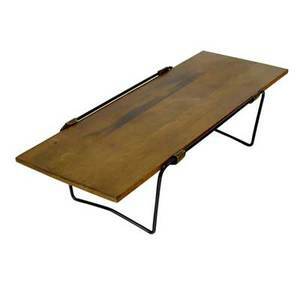 coffee table with maple top, wrought iron base, and leather support straps. 12" x 48" x 18 3/4"